Initial efforts by the international community to assist Nigeria in searching for the over 200 schoolgirls abducted last month in Borno State were rebuffed by the federal government, according to reports yesterday. The British Foreign Office said the United Kingdom offered help soon after the mass abduction, while the U.S. said its embassy and staff agencies offered help “from day one” of the crisis, according to Secretary of State John Kerry. It was only last week, three weeks after the Boko Haram raid of the Government Girls’ Secondary School, Chibok, Borno State, that President Goodluck Jonathan accepted the offers, one in a series of missteps that have led to growing international outrage against the government. The federal authorities and the military high command were said to be initially uncomfortable with allowing foreigners run the show in the rescue operation. The U.S., Britain, France and China are in the lead in providing mainly technical assistance in locating the girls. 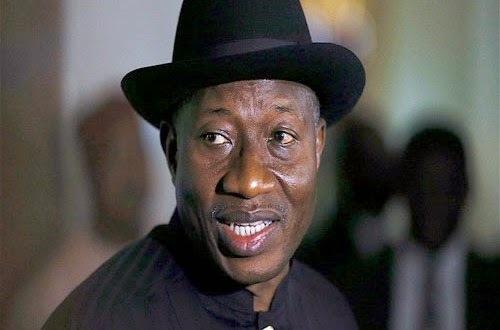 However, President Goodluck Jonathan said yesterday that up to 20 countries and international agencies have indicated interest in searching for the girls. These according to him include Spain, Israel, several African countries, particularly neighbouring Chad, Cameroun, Niger Republic and Benin Republic as well as the International Criminal Police Organisation (Inerpol). The President spoke at Oporoza in Warri South West Local Government Area of Delta State, where he had gone to perform the groundbreaking of the NIMASA Shipyard and Dockyard and the Nigeria Maritime University in Okerenkoko. “I’ve just had a communication with the president of Interpol (and) they are ready to key in with the Nigerian government to search the whole world. Wherever these girls are, we must get them,” he said. He warned crime gangs and others who might be interested in trading in the girls to keep off, insisting that there would be no hiding place for whoever got involved in the heinous crime. The Boko Haram leader, Ahmed Shekau, had threatened in a video message last week to sell off the girls. Jonathan added: “Luckily, the international community is angry with the whole thing. We have support from other countries and we promise the world that we will get these girls out. “I am very pleased with the support from the US, UK, China, France, Israel, Spain and others and the cooperation we are getting from neighbouring countries: Cameroon, Niger, Chad, Benin, Central Africa Republic and North African countries. The president reaffirmed his conviction that the girls are still in Nigeria possibly in Simbisa forest in Borno State. He appealed to Nigerians to give peace a chance with a view to ensuring widespread development in the county. He said, “Everybody wants development, but you cannot get it in a circumstance where there is crisis. “The last time I visited here (Gbaramatu) to see the people after the troubles before Amnesty, nobody smiled. I could not smile and these same people I have come to see now could smile. Government, according to him, is impressed with the level of peace in the Niger Delta region, although he acknowledged that criminal elements still abound in the area. Speaking on the Maritime University and NIMASA shipyard and dockyard projects, the president revealed that it is part of an overall plan to create employment and reduce the pool of jobless youths available for crime in the area. He said government’s target is to make the maritime sector contribute between 30 and 40percent of the nation’s GDP. In deference to the mood of the nation caused by the abduction of the Chibok girls, the President cancelled the traditional dancing and wrestling (ogele) which were part of the programme to welcome him to the state. Transport Minister Idris Umar said, on the occasion, that the projects underscored government’s commitment to the development of the maritime sector. He said they are legacies, not only to Nigeria, but the West Africa subcontinent in line with the transformation agenda of President Jonathan. Also speaking, the Director General of NIMASA, Ziakede Akpobolokemi said the university would help achieve one of its targets to build in-country capacity for composite manpower development in the sector. The ceremony was attended by Governor Emmanuel Uduaghan and his Anambra State counterpart, Willie Obiano, Senator James Manager, members of House of Representatives, Hon Daniel Reyenieju and Ndudi Elumelu, traditional rulers and other community leaders in the region.